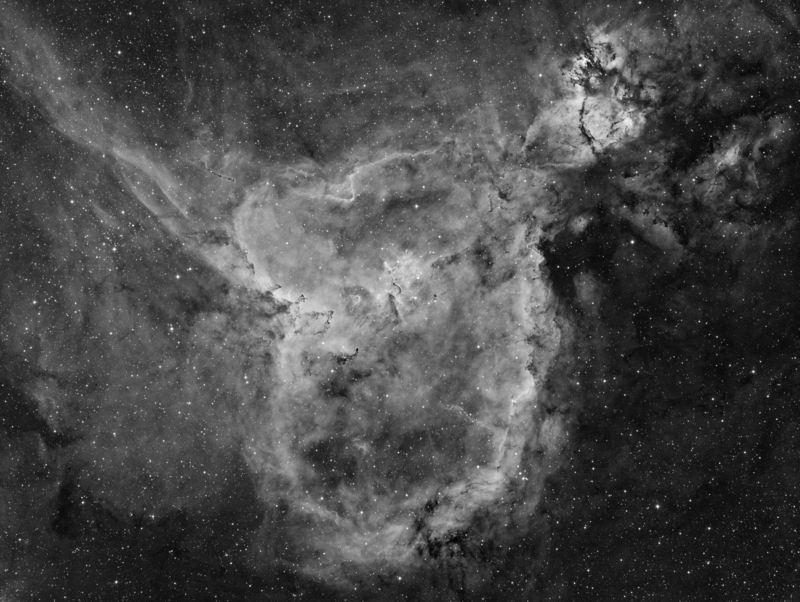 ​The Heart Nebula, IC 1805, Sharpless 2-190, lies some 7500 light years away from Earth and is located in the Perseus Arm of the Galaxy in the constellation of Cassiopeia. 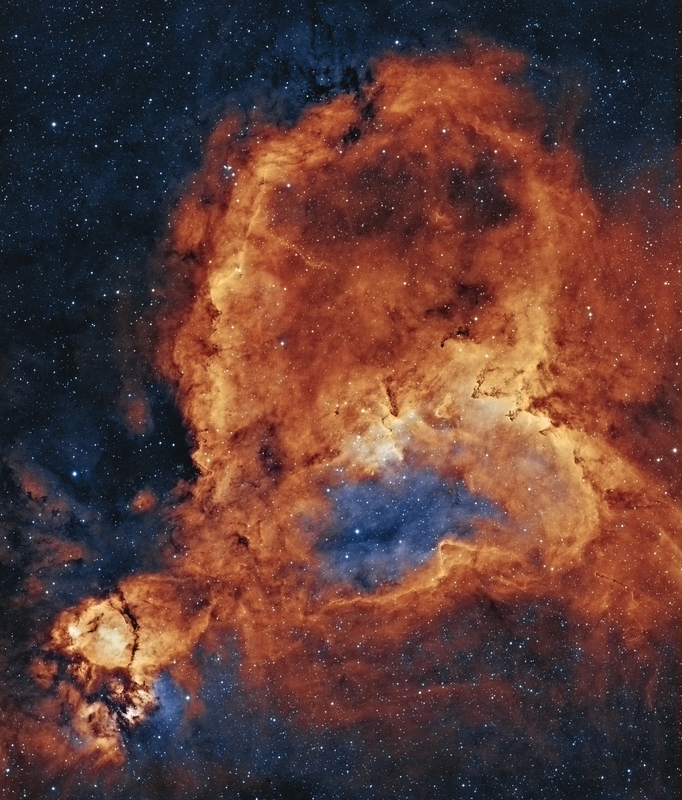 This is an emission nebula showing glowing gas and darker dust lanes. The nebula is formed by plasma of ionized hydrogen and free electrons. The nebula's intense red output and its configuration are driven by the radiation emanating from a small group of stars near the nebula's center. This open cluster of stars known as Melotte 15 contains a few bright stars nearly 50 times the mass of our Sun, and many more dim stars that are only a fraction of our Sun's mass. The cluster used to contain a microquasar that was expelled millions of years ago. 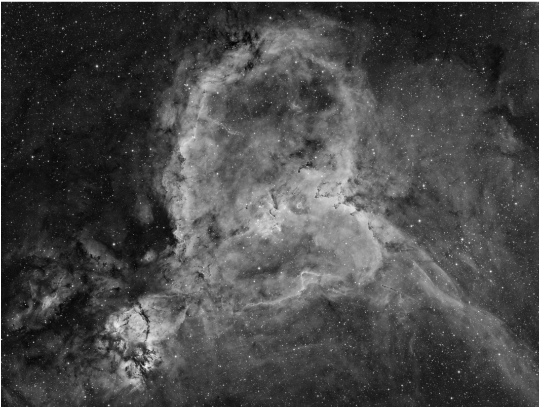 This is the first single pane image I took with the new QSI683 camera. I use 1.25" filters with it, the Kodak 8300 chip is really enjoyable to use. A short exposure time for me, this was all about showing what this Kodak 8300 sensor is capable of.